CARY — The University of North Carolina system is welcoming new ideas on ways to keep students in school. 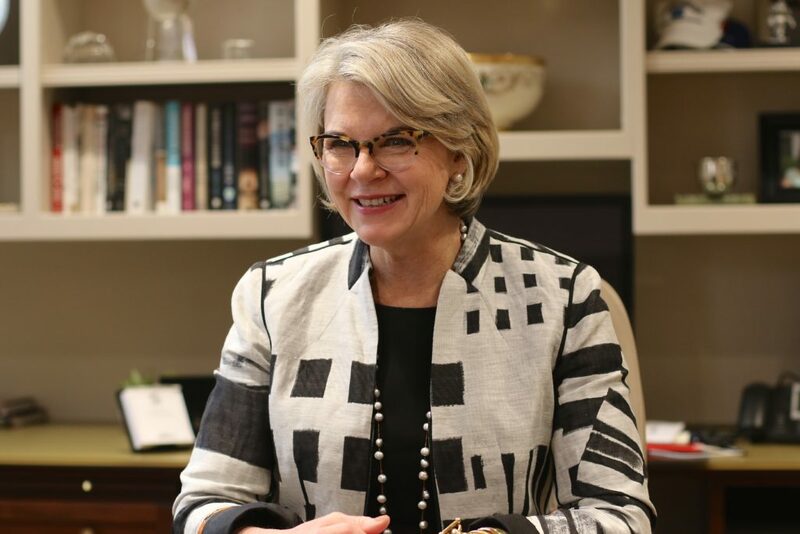 UNC is launching Student Success Innovation Labs, which allow researchers to test programs that will raise graduation rates across the 16-campus system, UNC President Margaret Spellings said Monday, June 4. The lab is basically a grant program, giving institutions and faculty tools to keep students on track toward earning diplomas, Spellings told Carolina Journal during a May interview. It’s not enough to get students into school. Graduation is the real test of success, she said. “We’re going to allow our institutions access to a pile of money to try things,” she said. The project received more than $3 million from the John M. Belk Endowment and ECMC Foundation. UNC asked the General Assembly to include lab funding in the 2018-19 budget, but lawmakers omitted the request. It doesn’t take much money to entice campus administrators to try new things, Spellings said, and the program offers a chance to learn more about system strengths and weaknesses. The university will use innovation labs to collect data on “student success interventions” and increase coordination among the campuses. More information makes for better use of taxpayer money, Spellings said. The project falls in line with system’s strategic plan. It focuses on access, affordability, efficiency, student success, and economic impact. The UNC Board of Governors in 2017 unanimously adopted the goals. The system also is committed to summer learning and better software programs to help teachers tailor coursework for students, Spellings told CJ. University leaders will scrutinize programs to see what works — and what doesn’t, Spellings said.